With some companies charging several hundred dollars for their best colored pencils, while others only charge a few bucks for a cheap set of colored pencils – surely there has to be more that goes into creating a colored pencil than just wood and lead right? …and equally surprised that companies don’t actually charge more! Today we are going to go over what colored pencils are made of along with sharing a video we found from the “How It’s Made” folks (remember that show?!) giving you a behind-the-scenes look at just how the top brands go about making their colored pencils. Can You Make Colored Pencils At Home? Naturally the wood barrel of the colored pencil is an essential ingredient in holding the lead core together. However, in recent years, this traditional casing has started to get challenged. 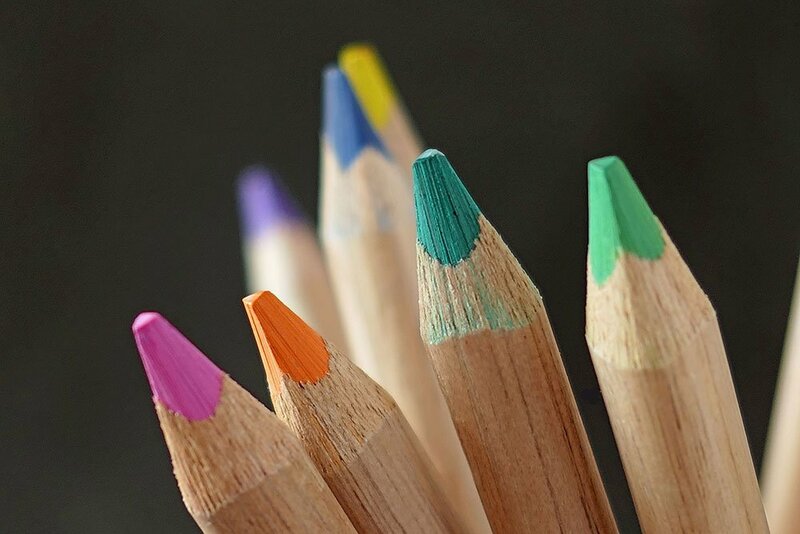 With woodless colored pencils making their way on to the market, along with even the most popular brands embracing 100% sustainable wood sources, more and more companies are looking to slightly alter how colored pencils are made. 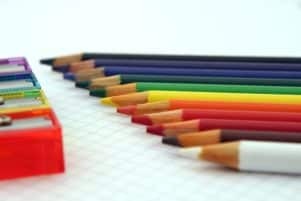 One of the most instantly noticeable and important qualities when it comes to colored pencils will be the pigment(s). Pigments can vary greatly from one brand to the next and even one color from another. 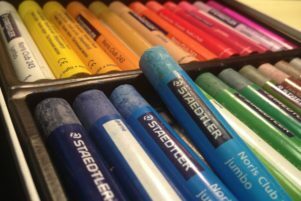 When it comes to cheap vs. professional colored pencils – the pigment will be the largest difference in both price and application. Pigment concentration in higher end brands produce much more vibrant and striking results. Secondly, the types of pigments sourced also have an impact on a particular brands lightfastness rating. Take the Green ochre (025) colored pencil for example. This tells us that there is a lot of different colors coming out of the lead when you make a mark on the paper. In addition, given that this one isn’t considered to be just a ‘pure pigment’, it may appear slightly duller when compared to others. 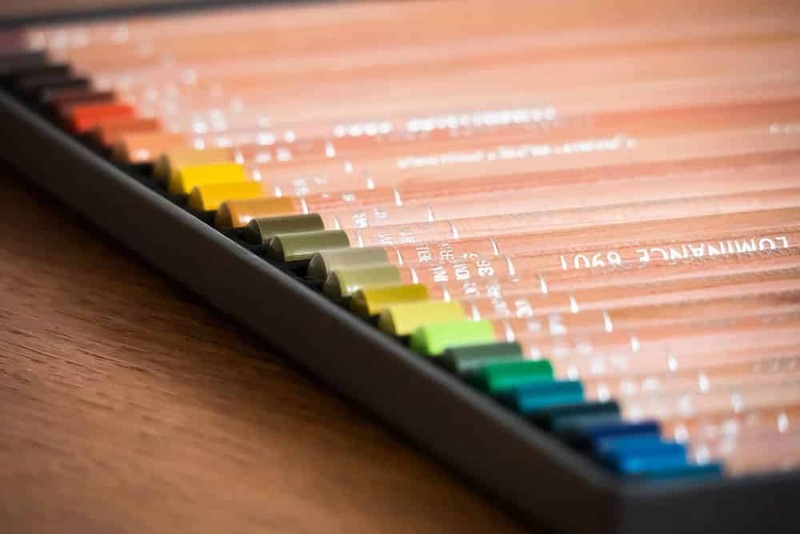 This information can be extremely useful when using colored pencils as you can find like colors that share the same exact pigment composition – so in our example above, green ochre, yellow ochre, raw sienna, brown ochre, and olive brown all contain the yellow PY42 pigment. So, mixing these colors together would make a really smart and harmonious choice. Lastly, is the lightfastness rating. If you are doing artwork that is to be on display for years to come, then lightfastness rating is important. 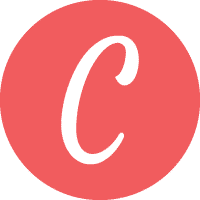 What’s equally important to know is that no single brand can create perfect lightfastness ratings for all of their colors. This is due to the chemical structure of the organic pigment. Some naturally are more prone to fading when exposed to light when compared to others. But in general, the ASTM does provide some guidance when determining lightfastness. Above information was sourced from Wikipedia. Another metric to determine lightfastness is the blue wool scale – but during our research we are yet to come across a colored pencil that follows those guidelines. Binders, also sometimes referred to as resins, are essentially the glue that holds the pigment in place when mixed together. This ensures that there will be an even distribution of pigment throughout the entire lead core of your pencils. Binders can vary greatly from being gum arabic, paraffin wax, to even an oily compound. The type of binder used can drastically change how the pencil performs when the lead interacts with the paper. Used in tandem with binders, extenders help to ensure that there is a firm body to the lead. The amount of extenders used in a pencil can dictate whether the lead will feel soft and buttery or one that is a bit more rigid. In addition, the added use of extenders can help push down the price of the pencil by decreasing both the binder and pigment needed. While we eluded to different compositions within the binders when it comes to colored pencils, we wanted to expand on this a little bit further since its important when understanding how colored pencils are made. By far the most popular type of colored pencil will be those with a wax-based core. This type of colored pencil goes on smooth and creates a relatively slick surface. Prized for their blending abilities, artists love these pencils as they can layer with relative ease. In addition to being fairly easy to work with, wax-based colored pencils can also be used with solvents to completely dissolve the wax and pigment onto the paper. 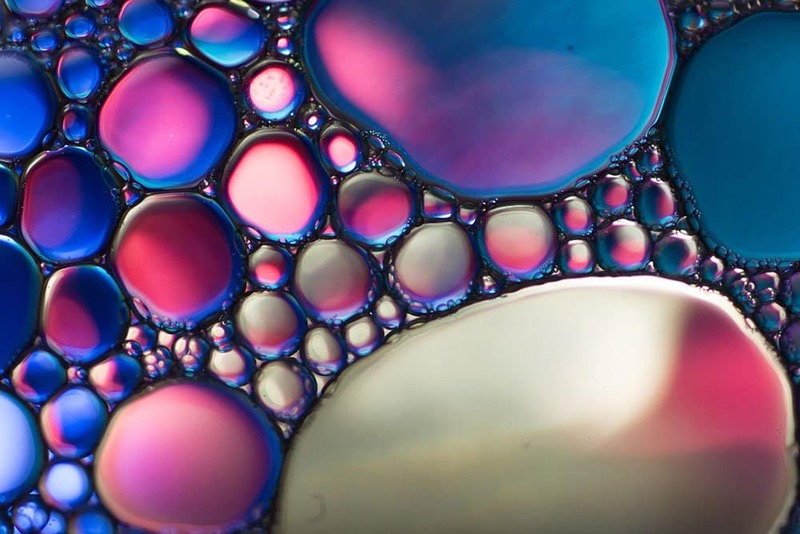 Common solvents used by professional artists will be either baby oil or xylene. 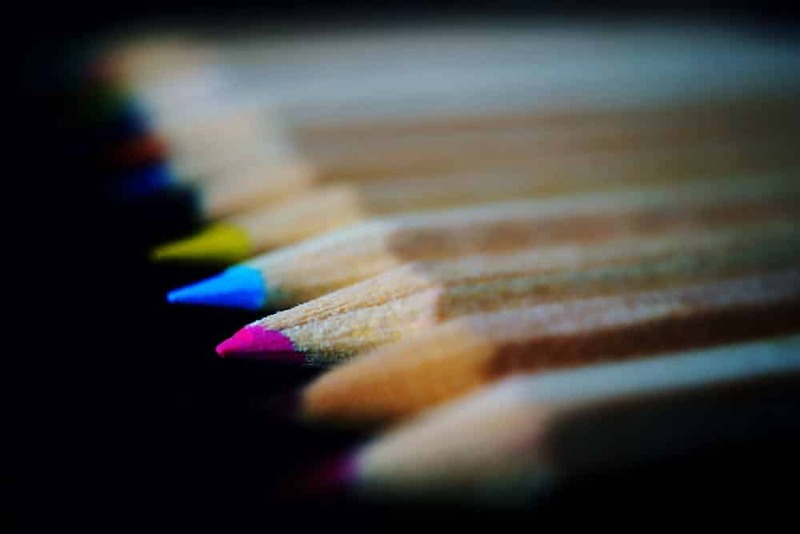 Based on our research, xylene is a much more effective method as its chemically opposite of the paraffin wax used within the colored pencils making for much more cleaner blends. Companies like Chartpak and others do make xylene based blending pens. Lastly, one downside to wax-based colored pencils is that they experience wax blooms. This phenomenon occurs when the wax begins the oxidize after a few days. To counteract this, you can just simply use a dry cloth and wipe your drawing. If you really don’t want it to happen again, then a fixative will help seal off your drawing from any more air interacting with it. Opposite of wax-based colored pencils you will find oil-based colored pencils. This variant on the colored pencil is much rarer and is only exclusive to a few brands – Faber-Castell Polychromos and LYRA Polycolor’s come to mind. With this pencil providing buttery and slick results, the colors (according to some artists) appear more vivid than your typical wax-based color pencil. In addition to color vibrancy, oil-based pencils will need different solvents (i.e. odorless mineral spirit or turpentine) in order to dissolve. Using baby oil or xylene here will simply not work and may ruin the paper that you are drawing on. While there are countless ‘mamma’ blogs hawking DIY solutions for everything under the sun, colored pencils are one of those products that you simply can’t cook up in your kitchen with sticks and wood dye. 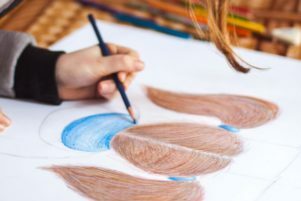 The process of mixing pigment with binders and extenders along with inserting them into molds takes very specialized ingredients and tools in order to create a colored pencil. If you are into the whole DIY process though, perhaps you will want to take a look at either acrylic or oil painting where both raw oils, acrylic polymers, and pigments are readily available. The TV show, How It’s Made is a long running series that has followed along countless products through their production process. In this short 5:00 video, they visit the Caran d’Ache factory and give us a look at how they make their Luminance colored pencils. Remember at the start of this article we said some colored pencils could cost upwards to a couple hundred bucks? Whether you are just simply researching about colored pencils for an article you are writing (if so please link or reference us!) or are trying to get the most out of your colored pencils, understanding the composition is key. From the onset, colored pencils seem like a fairly straightforward product, however, as you have learned today, that is anything but the case. So, we hope that you got some good things out of this article and learned a little bit more on how this widely used art medium is made.